A hundred days! I can recall the questions that raced through my mind before I decided to jump in: Can I handle it? Will I push through when my schedule is jammed? Will I share even when I can’t resolve a piece? Will I show up every day, even when it hurts—especially when it hurts? 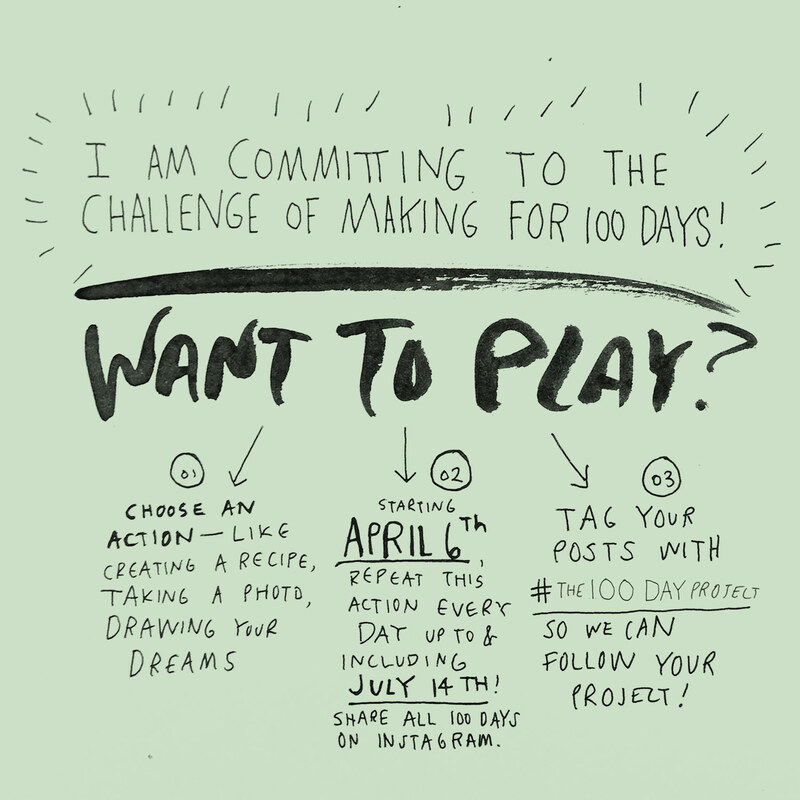 I’ve seen repost all over Facebook about the upcoming #the100dayproject, and I’ve been brimming with excitement about the actual even starting on April 6th. At first I thought to myself, I’m already doing plenty of doodles and drawing, do I want to use this opportunity to project my growing habit? Or, should I take advantage of the accountability that comes with this project to pursuit some other priorities in my life! 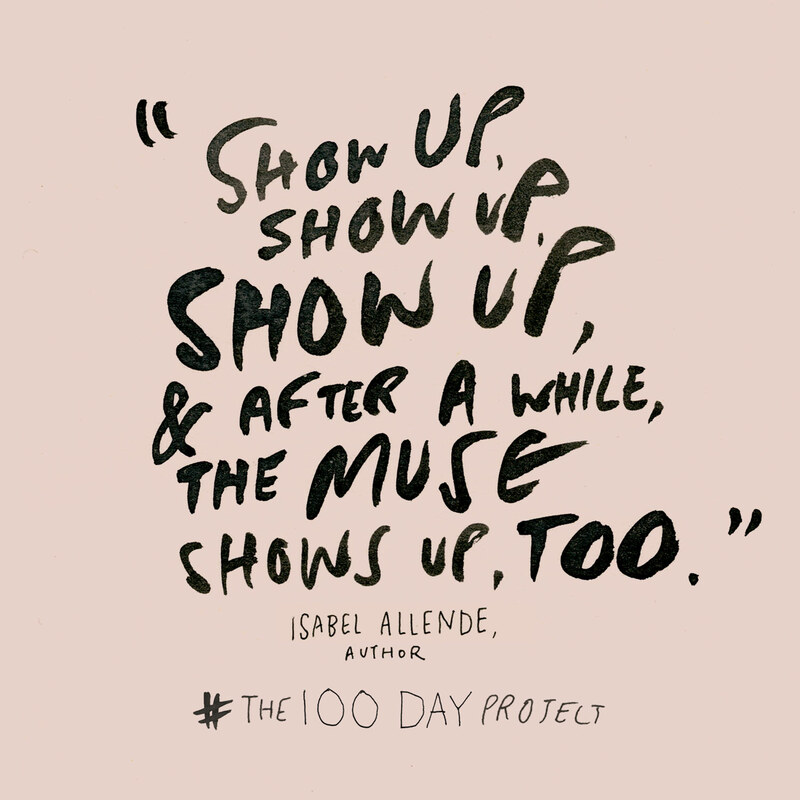 The 100 Day Project is co-hosted by online magazine The Great Discontent and artist Elle Luna. 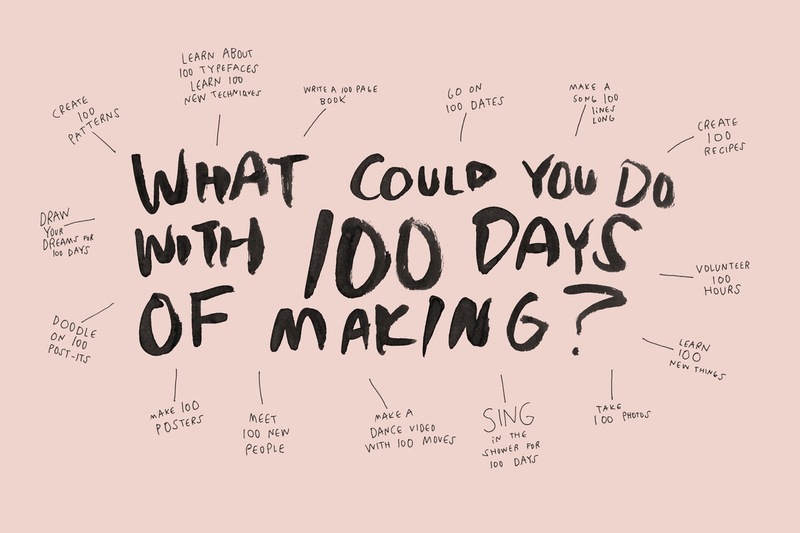 The idea of this project initiated from a grad school assignment at Yale School of Art where the teacher asked each student to pick on creative action and repeat it over the course of 100 days. Some of the students decided to share their progress on Instagram with the hashtags #the100dayproject and ended up spreading the challenge all over social media. there was something very empowering about the accountability of doing the project alongside other people in a very public way via Instagram. To be honest, I’ve been putting of my habit of writing to the side for a long time. As my eventual graduate school education looms before me around Fall, I can’t help feeling panicky and un-prepared. I really wanted to develop and hone my writing skill so I can better present ideas and create quality content in my career in marketing. So I’ve decided to take the plunge, and put myself in a situation where I can’t back out by announcing this project publicly. Hopefully through daily practices of writing each day, I can be more confident in my penmanship and creative writing in general! My project and personal hashtag will be #100DaysofWriting and I’ll be writing at least 1000 word each day in my Hobonichi Cousin. I will explore latest news on gadgets and trends, or other life-hack related ideas and tips! It’s definitely not too late to join! Here are the steps to starting your own creative challenge~ Please share your hashtags too so we can all share our process and cheer each other on! We are often overwhelmed when we think of all we want to accomplish in life. It’s why I think the idea of a 100 Day Project makes sense. It would allow us time to focus and build on one task rather getting paralysed by the need to do hundred things, and accomplishing hardly anything, as we get distracted and dejected along the way. I find that too April, and your post gives me motivation to start doing more focused work within a time frame. This reminds me of Earl Nightingale’s “The Strangest Secret.” Constant working toward something, toward anything, will result in improvement. And that is a beautiful truth!